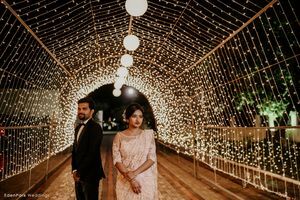 Candid couple shot with a stunning backdrop! 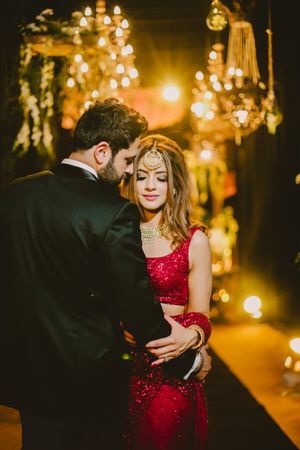 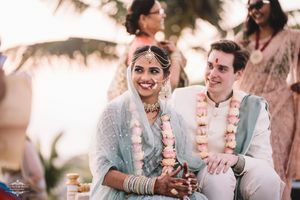 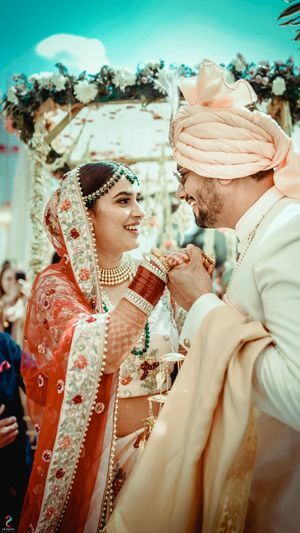 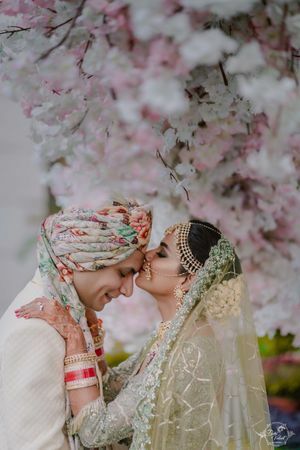 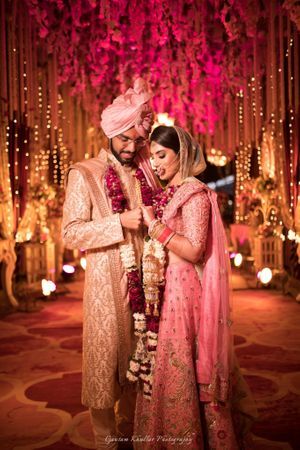 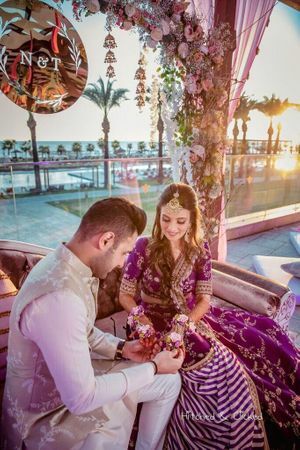 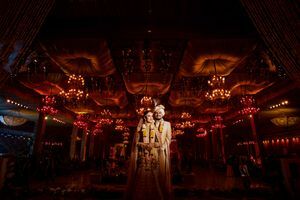 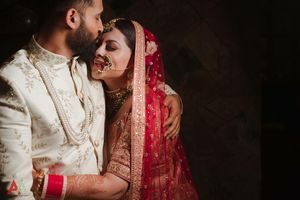 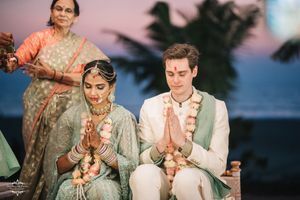 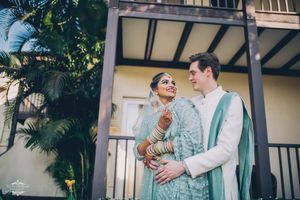 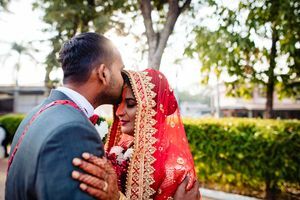 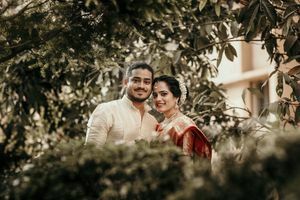 A stunning couple shot at their mandap. 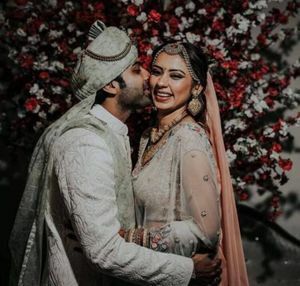 Such a cute couple shot! 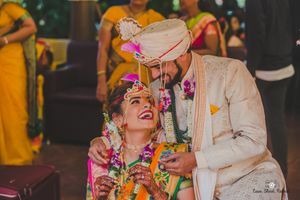 A smiling couple portrait, with the bride and groom in offbeat colors!